The LBO series is an open style, super high load capacity, Inch series recirculating round rail super ball bushing linear bearing. These linear bearings have a ball conforming outer race coupled with a self-aligning feature which allows for zero bearing clearance while maintaining smooth operation. The independently self aligning outer bearing races insure smooth operation by absorbing miss alignment up to 1/2 degree in all directions. 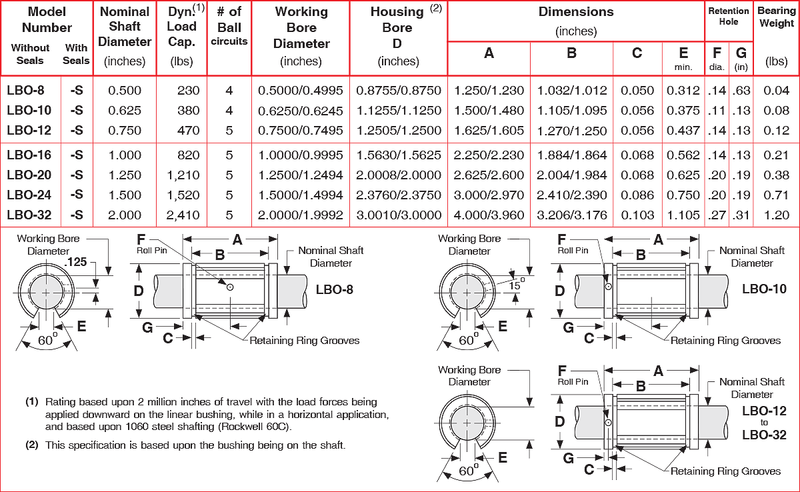 These bearings are typically used with the Lintech SL series precision linear shafts.